Our site was non-functional and switching to an aMISTACX site help beyond belief! Andrew, the gentleman that helped me understand it and get it implemented was understanding, patient, and clearly an expert. I would recommend this service for anybody with a slow website. We have tried many developers and other hosting providers, our problems ended when we opened an account with AWS. aMIstacx did wonders for us, just one email to Andrew helped us to resolve all our hosting issues. They not only cleaned up a lot of pre-existing issues but also secured our site and cleaned up a lot of the issues. quality scores went up. They handled everything professionally and went out of their way to support. us Hands down the best service ever. Our experience with aMi STACX has been nothing short of amazing. Since using it, our site has experienced a vast increase in performance and reliability along with exceptional speed. 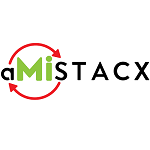 We're highly recommending aMi STACX.